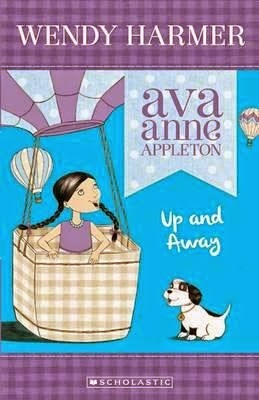 Ava Anne Appleton and her family, including dog Angus, are on an adventure. They have packed their belongings into a motor home, The Adventurer, and are off to explore Australia. And although Ava was slightly anxious about the whole idea she is settling into the journey and beginning to be more open to the adventures she encounters. In Up and Away, ‘The Adventurer’ stops at Kardinya, an historical homestead. Here Ava discovers how people lived in the pioneering days, learns that Kardinya means sunrise in local Aboriginal language and sees that there is always a new friend around the corner. ‘I love the flat country the best!’ shouted Bonnie. ‘It’s where you see the biggest sky, ever! While the words are easy for young readers, the text is well written, evocative and not simplistic. The attractive soft illustrations which appear at least every couple of pages break up the text and make the reading lighter. This will be read by girls from seven years and up. It is a great chapter book to extend beginner readers but may also entice older reluctant readers. It could even be a bedtime book, read aloud to younger children. This is a series where the main character is an engaging one, easy to relate to and entertaining. The concepts of family, friendship and a sense of adventure shine strongly through in every chapter. This is the second in the series which is sure to continue. Jump on board with The Adventurer and join Ava on her journey.